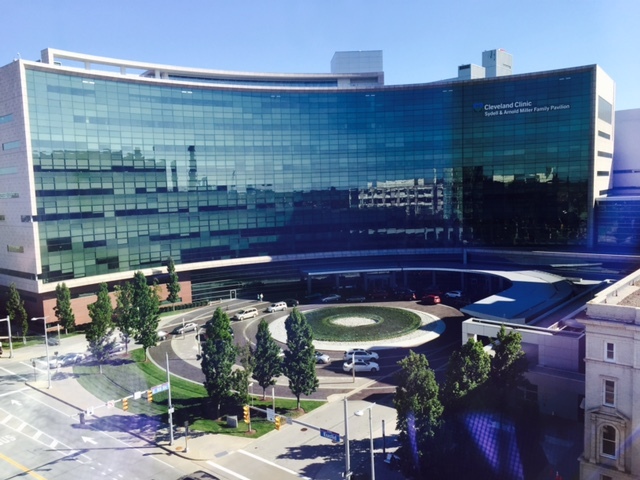 Costs of treatment at highly-rated hospitals like the Cleveland Clinic have continued to go up through the years. How can we make these healthcare options more accessible for all? The U.S. has some of the best health care specialists in the world and has undoubtedly made remarkable advances in treating chronic diseases. The 21st century has ushered in the use of stem cells to replace or repair damaged organs, developed highly active antiretroviral therapy (HAART) to treat AIDS and improved liver, lung, heart and small intestine transplants that save the lives of thousands each year. Yet, while we in the U.S. spend 17.3 percent of our gross domestic product (GDP) on health care by the public sector, Germany spends 11.2 percent and the United Kingdom 9.7 percent, respectively, for outcomes that are better. In comparison to comparable countries, the U.S. has higher hospital admissions for preventable diseases like congestive heart failure, asthma and diabetes, higher rates of medication and laboratory errors, a higher than average Potential Years of Life Lost (an alternative to average life expectancy) and a worse rate of preventable adverse medical errors. Perhaps most alarming, is that a woman in the U.S. today is more likely to die during childbirth than her mother was 25 years ago. The chances of surviving childbirth, what should be a routine procedure, are even worse for women of color, who are three to four times more likely to die from pregnancy-related causes than white women. As a result, the question must be asked, is it justifiable to spend double the amount of money for cutting-edge treatments while simultaneously reporting some of the worst outcomes for basic health care practices in the developed world? While there are certainly impressive parts of the American health care system, we cannot continue to watch people die due to preventable errors, untreated or mistreated diseases, or lack of insurance coverage. U.S. health care is, most unfortunately, intimately linked to age, employment, ethnicity and the thickness of one’s wallet. The luckiest of us, are provided decent, or even excellent, coverage through Medicare, the military, our place of employment or are privileged to have deep enough pockets to not worry about the next hospital bill. However, as many as 44 million people in our country lack any health insurance coverage—not including those with inadequate coverage—and as a result, three of those people die every hour. The U.S. is an outlier from its developed counterparts in that it has no universal health care coverage option, unless one is at least 65 years old and qualifies for Medicare or disabled and qualifies for Medicaid. By the turn of the 19th century, German chancellor Otto von Bismarck had developed a form of universal health care offered to the working class. Bismarck’s principles were adopted around Europe. However, these principles never seemed to make it across the Atlantic. The closest American adaptation, and indeed a step in the right direction, has been the Affordable Care Act (ACA) or “Obamacare.” The ACA was built off of the principles of Medicare, which was passed under the Johnson administration in 1965 to cover approximately 80 percent of health care costs for those over the age of 65. Among the many partisan debates in our political climate, the phrase “Medicare for All” has been thrown around recently, but it is more than a concept. As a policy to provide health care as a right for all our citizens, Medicare is underdeveloped and unclear. Some politicians, such as Sen. Bernie Sanders (I), support a single-payer system that would cover everything. But, what is everything? Does it include bone marrow transplants, cosmetic surgeries and knee replacements? These very questions are part of the crux of the issue surrounding Medicare for All: What will actually be covered? How, and to what extent, will hospitals and physicians be funded? All of these queries deserve a discussion so we can, hopefully, implement a health care system prioritizing women’s health and primary care as well as more advanced-technology care, such as growing new organs from stem cells. A universal health care system has the potential to reduce national health care costs while ensuring a low-income teenager or a Latina mother have the same access to safe, quality medical care as a CEO of a Fortune 500 company. While the current administration continues to attack our limited right to health care, we must hold on to the power we still hold as a people. That power includes the ability to fight for access to comprehensive, high-quality and safe health care. This will include truly reduced drug prices so that families no longer have to risk life by not paying over $600 for two EpiPen injectors or over $400 a month for insulin to control diabetes. If a national health care system that unilaterally covers our pre-existing conditions, surgeries and medications, is socialism, then so be it. It is time we stop painting the availability of health care—and education, housing and the right to clean air and water—as left-wing propaganda. If the top one percent deserve these privileges, why don’t we? Jordan Reif is a first-year student studying political science on the pre-med track. She likes to spend her time reading, saving the bees or innovating new ideas for her start up “Ned talks”—a discussion forum for those who are just not quite good enough to make it to TED.